Have a safe weekend! New data from Google says the majority of emails are safe from being viewed by hackers and the government. The weekend to end all weekends: You spent all this time learning how to do those tempting Upworthy-style headlines, and now Facebook's tweaking its algorithm to send them out of the news feed. Gives new meaning to the weekend lapse: Hyperlapse is Instagram's new stand-alone app that lets you make time-lapse videos on your smartphone. Weekend watching: Now you can easily upload your Google+ videos to YouTube. Wiki-end? Remember a few weekend reads ago when we noted that Wikipedia had barred edits from IP addresses in the U.S. Congress? Now Wikipedia says transphobic changes were made to actress Laverne Cox's Wikipedia page by a woman staffer on the Hill who says she was directed to do so by a male member of Congress. Don't get caught, indeed. Just look at this worldwide map showing where Wikipedia entries were made...they are paying attention. I like the weekend: Likes is a new app for iPhones that saves Instagram photos you have liked. Working for the weekend? NATO's Brussels-based headquarters needs a senior speechwriter. Go here and search for job reference 140291. WhatsApp this weekend? WhatsApp, one of my favorite messaging apps, now has 600 million monthly active users. I'm launching a new workshop, Speechwriting for Communicators, in Washington, DC, on October 9. If you find yourself writing speeches, remarks and talking points, but have never learned how to do it, find out what you may have missed in this one-day session--including how to do more with boring speech occasions. Every participant gets an online toolkit of resources, too. You can save 15 percent by registering by August 29. That would be today, people. You can still register for the European Speechwriters Conference, 24 October in Amsterdam. I'm leading a pre-conference workshop on women and public speaking on 23 October, and American attendees traveling from the US to the conference get a 200-Euro discount with the code "eloquentwoman." Sign up soon! 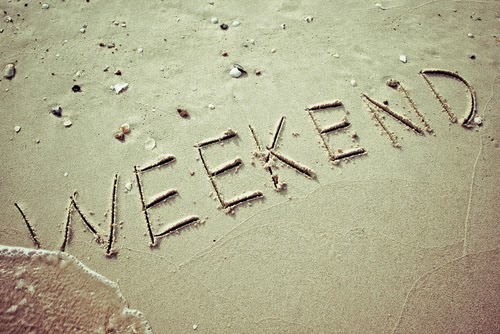 Enjoy the long weekend, weekend readers!